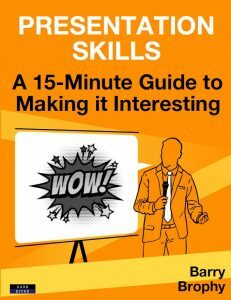 This ebook series uses condensed and curated content from the author’s acclaimed title Awful Presentations: Why We Have Them and How to Put Them Right; content that has been redeveloped into short, focused, and practical 15-minute reads. 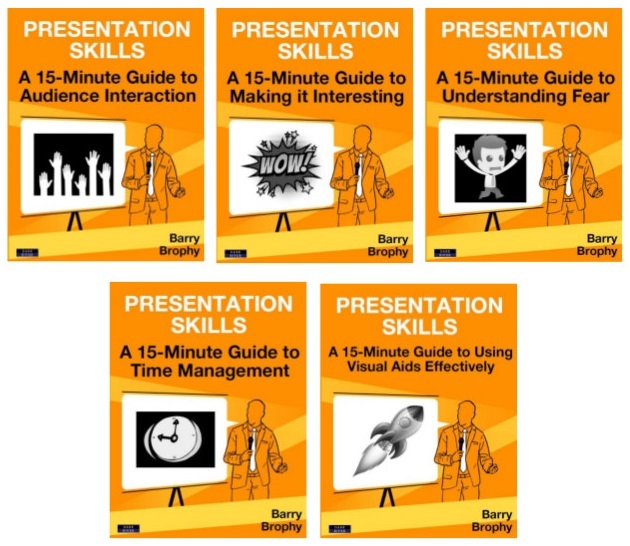 The biggest problem people have, when giving with presentations, is nerves. For many, they can be crippling. But our understanding of this issue is all wrong. Nerves on the day actually make you better, not worse. You simply need to recognise them and roll with them. 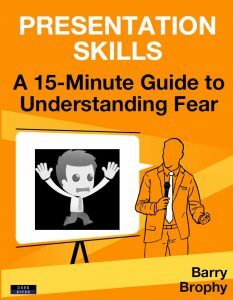 There is another type of fear, however – which can be termed ‘caution’ – that ruins the content of most presentations before the speaker even stands up to talk. We have all experienced ‘Death by PowerPoint’ where presenters fill slide after slide with bullet points and then read them out, word for word. This is not just bad for the audience but it is also bad for the presenter who ends up gawping at his or her own slides to remember what was written there. 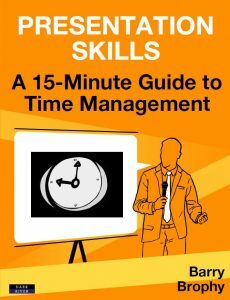 Why do people do this – again and again – and what should you do instead? Many presenters think that their content is boring and look for ways to spice it up. This is totally wrong-headed. In truth, no topic is boring if you centre your presentation not on what you know, but on what the audience needs. 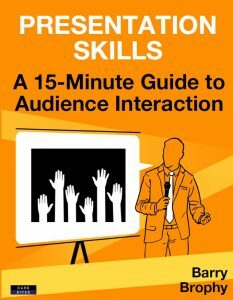 The ability to interact with the audience is a presentation’s greatest strength over other forms of communication, and yet it is a feature that many presenters shun. In a breathless effort to ‘cover’ their material, they shut the audience out. Interaction not only allows the audience to ask important questions, it creates an inclusive atmosphere where people – even if they don’t interact – are more enthused and involved. 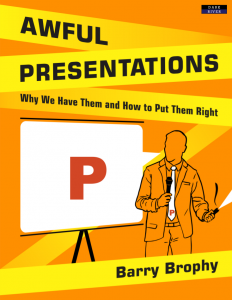 Despite the fact that most people don’t like giving presentations, the majority of them run over time. 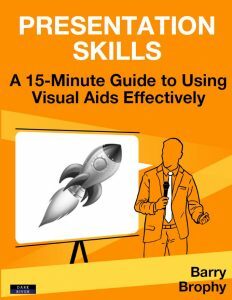 Presenters always seem to have too much to say and find it impossible to cram years of knowledge into minutes of presentation. However, we don’t have this problem in conversations where we slide in and out of different levels of complexity effortlessly.